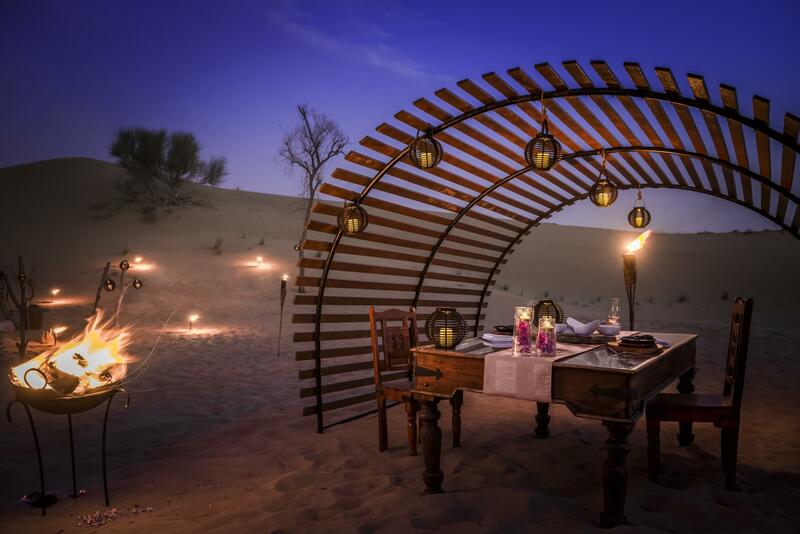 You are cordially invited for dinner under the stars inside a Royal desert retreat. 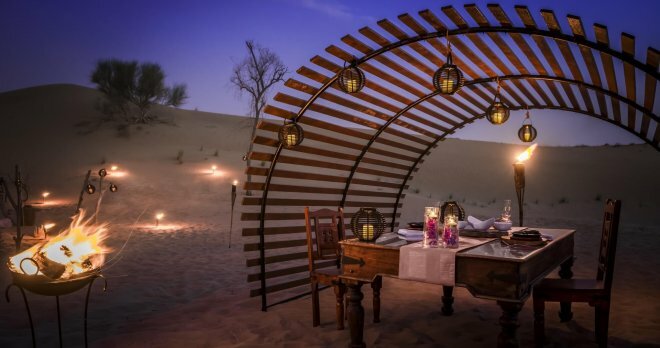 Your chariot is the legendary Mercedes G-Wagon, the off-ro ad vehicle of choice of royalty, the rich and famous. 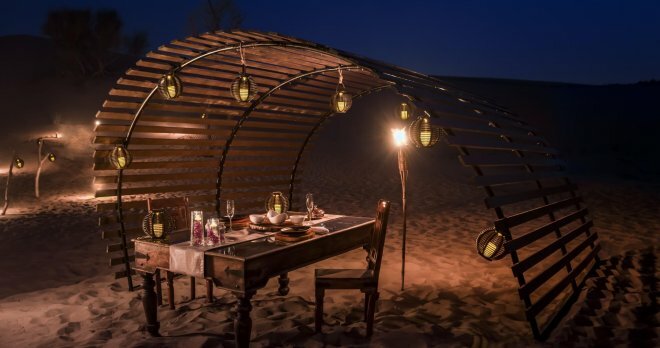 Your expert Safari Guide will lead you on a gentle journey through the Dubai Desert Conservation Reserve in search of exotic native wildlife. 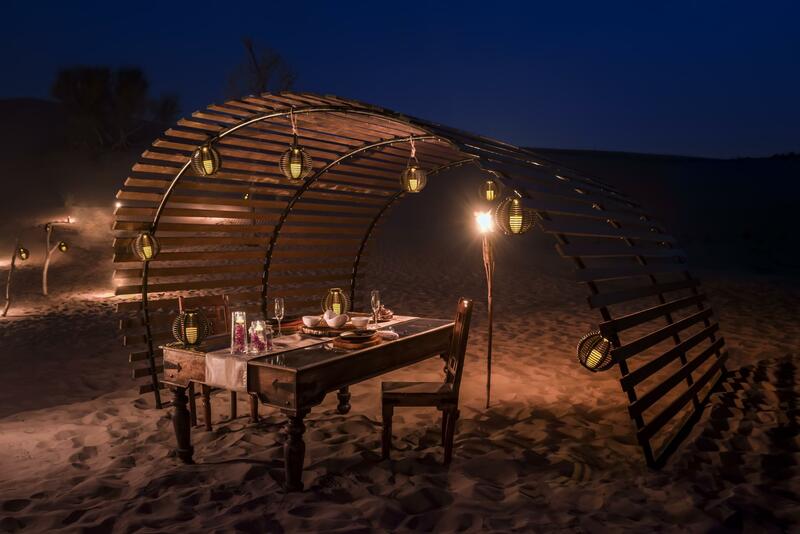 A delectable dinner at your secluded private set-up nestled inside the exclusive grounds of the Royal desert retreat awaits you. 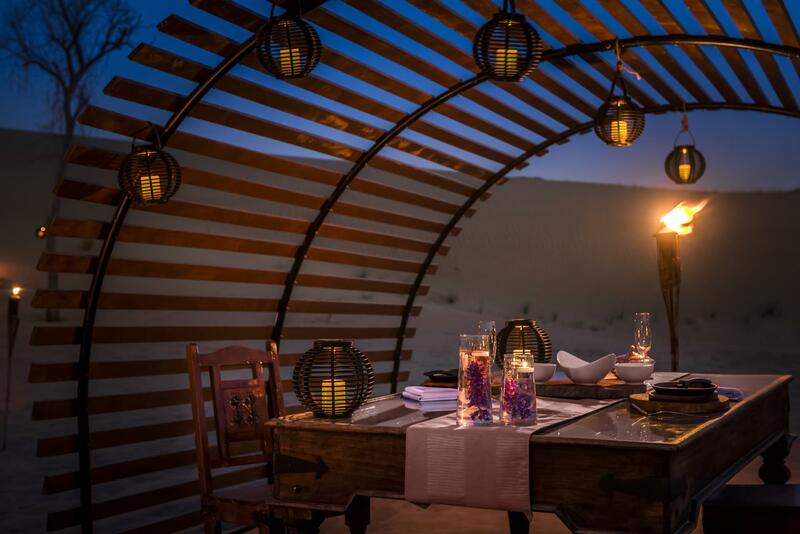 Your six course dinner is served on a table made out of an antique Arabic wooden door and sits beside your private Majlis, complete with silk carpets and soft, fluffy cushions where you can relax by your bon-fire. 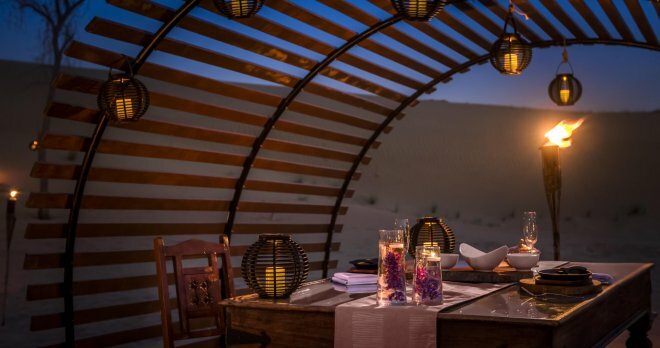 Relax under the stars in this once in a lifetime experience that only a privileged few will be lucky enough to experience.